After receiving multiple complaints of price gauging from area propane customers last year and conducting a thorough investigation, Attorney General Bill Schuette announced on Wednesday that 5,600 Michigan consumers will receive more than $500,000 in restitution from Amerigas. In a lawsuit filed in September, the propane sales company was accused of violating the state's Consumer Protection Act. Customers who were on a "locked-price" plan were allegedly charged more than the agreed-upon per-gallon rate while customers who made will-call orders were allegedly charged a higher rate than they were initially quoted. The lawsuit also alleged that overall customers were charged largely elevated rates in comparison to other local companies' rates at the same time. As part of a settlement reached with Amerigas, the company will offer all customers a locked-in rate for this winter that does not require the usual enrollment fee. 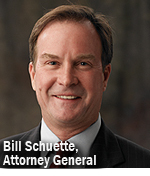 "Cooler autumn weather means many Michigan families are already anxious about upcoming heating bills," Schuette said. "I'm happy we can put money back into the wallets of hard-working families who paid steep prices to heat their homes last winter while already trying to make ends meet." Customers eligible for reimbursement will receive notification by mail from the Attorney General's office. All reimbursements should be received by Nov. 1. Want to get notified whenever we write about Michigan Office of the Attorney General ? Sign-up Next time we write about Michigan Office of the Attorney General, we'll email you a link to the story. You may edit your settings or unsubscribe at any time.